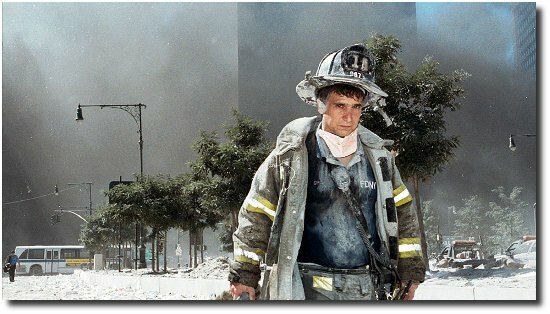 then you are not invited to the 9/11 First Responders Cermony ok? The BBC have put together an article…hang on the way I am writing this suggests I’m going to suggest they’ve done their own independent journalistic investigation. Thats not how things are done these days is it. 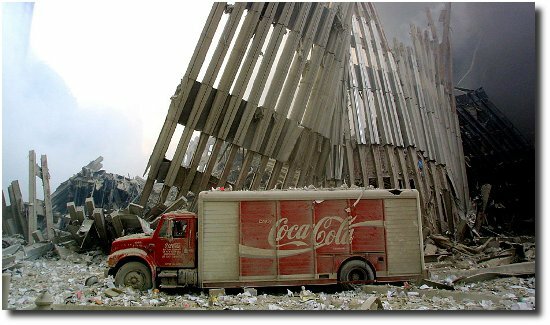 No they will have got a press release from the 9/11 Cermony people and put it on their site as this is how modern journalisim is done and why its always the same story from everyone. But here are some pictures I’ve culled on the basis of fair use for a personal website. 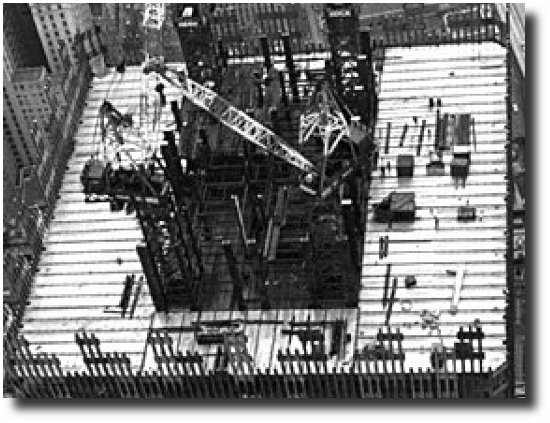 How much of the floor space is given to the central column backbone of the construction? I’d say its about 1/3 of the floor area and this area is predominately steel with little combustible material. The rest of the area is for desks and people. Its hard to put some scale on it, but its probably not unfair to say two people side by side would fit in the gun slit windows. This gives an idea of the size of the outside steel columns. These steel columns obviously go from the bottom to the top of the building, all 110 floors. 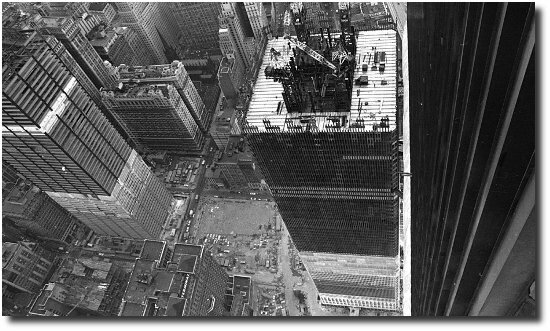 On each of the steel floor decking, the silver coloured floor in the picture, was a layer of 4 to 5 inches of concrete, on every floor from the bottom to the top, all 110 floors. Starting at the top, here is the upper floors. Whats happening here? 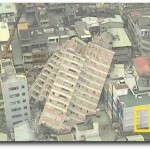 These top floors would have been parallel to the ground once upon a time. But here they are tilting over. 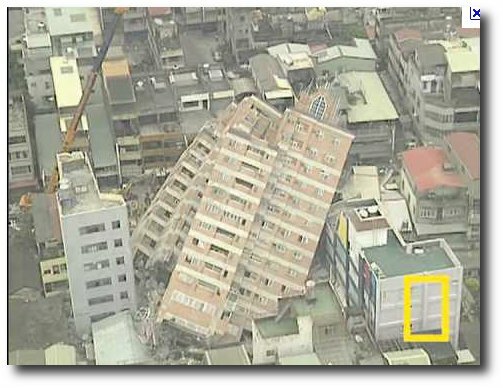 This means they have momentum, and would have continued to rotate and fall in the path of least resistance off the top of the building. But they don’t. If you watch the video of this, this section of the building simply vaporizes into a cloud of dust in the following 2 seconds and we never see this section of building ever again. What could cause that? 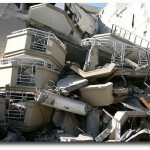 Would you say the rubble pile is higher or lower than the truck? Where are any of those colomns? Surely some steel fingers would remain pointing skywards from the middle of the building? 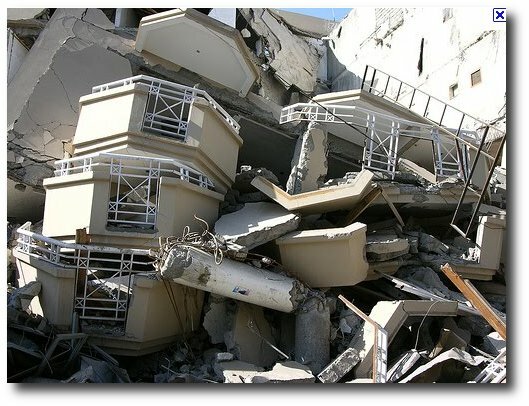 Concrete does not just vanish into thin air. Where has it all gone? Fire alone made all this vanish? 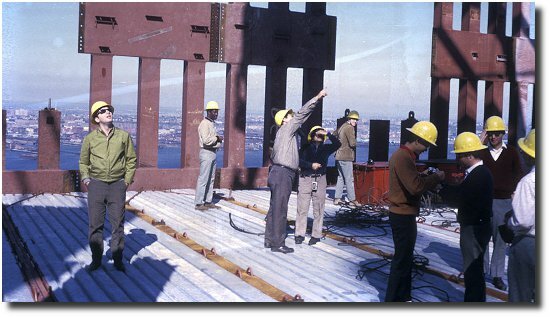 There is nothing to show there ever was a strong steel core frame work providing the backbone of the building. 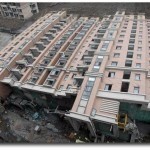 Only the weaker outer wall remains with not a single shred of floor attached anywhere, and the floors themselves no longer appear anywhere either. Where is any of the electical wires, desks, computers or parafinalia of 110 floors of office space and 2,700 people? Where are any of those 110 floors? any of them? Where? 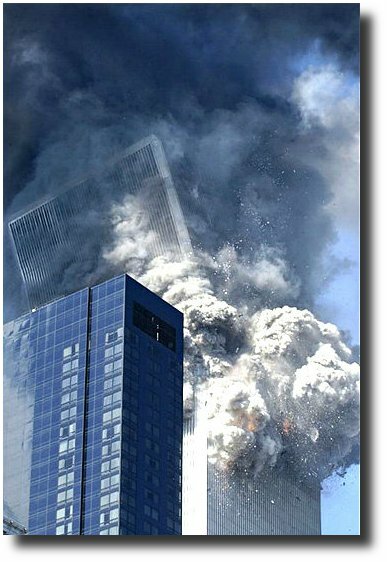 Does this look like a gravitational collapse of 110 floors? 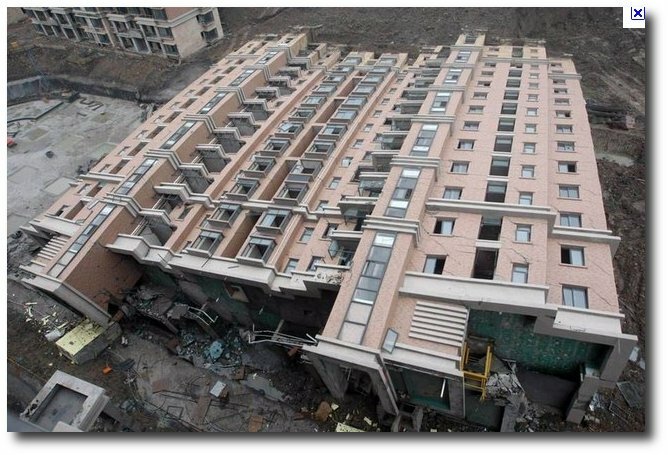 Does it look like gravity alone did this? 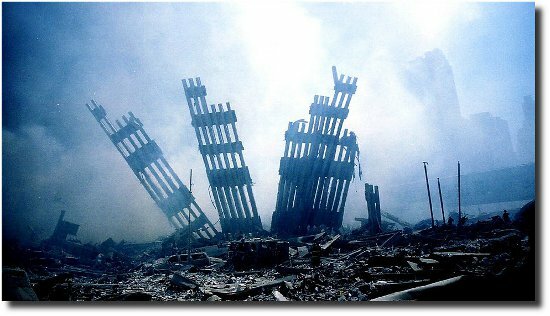 There is nothing at the foot of either of the World Trade Centers. Where are the pancakes? 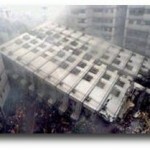 If it looks like a bomb site to you, then it probably is a bomb site. 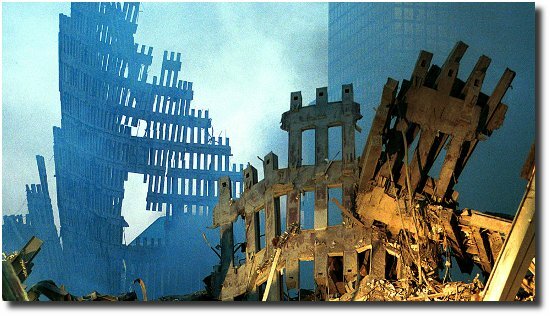 No building that has exhibited all the characteristics of controlled demolition has turned out not to be a controlled demolition. 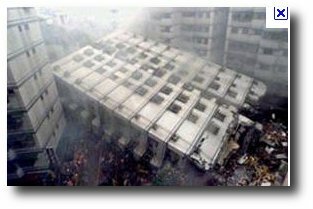 Have you noticed there is no mention of the third building to collapse, WTC7, in the media’s anniversary commentary?